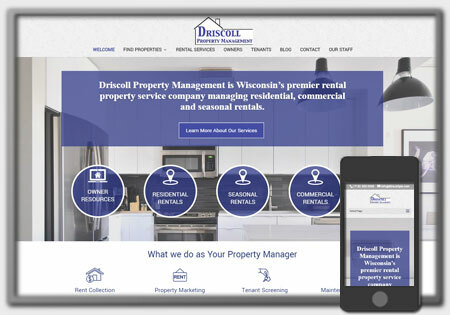 It was a pleasure working with Dustin on building his kickazz website for his amazing baking skills. The websites purpose is to showcase the talent behind the scenes, the amazing baked sweets and provide an easy way for purchases to be made online and delivered fresh every Monday. 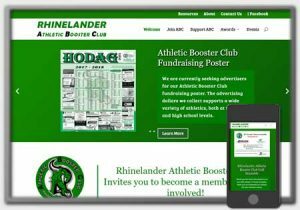 A subscription option is also offered. 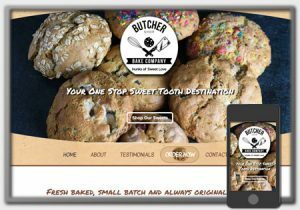 Take a moment and check out the new website at https://butchershopbakecompany.com. View their new website to learn more about the amazing custom baked cookies offered. Who knows, it may be just what you been looking for to fill your craving. 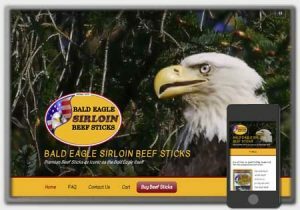 Congrats to Callow Foods LLC on the launch of their new website, Bald Eagle Sirloin Beef Sticks. 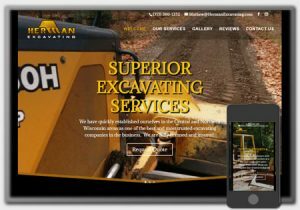 It was great working with Callow Foods LLC on getting the ecommerce website developed and making sure it represented the premium sirloin beef sticks that are produced and sold online.